Now that fall is here and the summer's really over, it's that time of year again. Time to celebrate the third annual National Family Game Night this Wednesday, September 28. To mark this year's event Hasbro is encouraging families to get together for some friendly competition, quality time, and parent and child fun. There's even a program running to recycle your old board games. And, the company wants to know how your family plans to celebrate by posting pictures of your National Family Game Night celebrations of years past, as well as this year, on their Facebook page. Hasbro, a brand I grew up with as a Baby Boomer kid, figures prominently in my own children's lives too. We own many games from this company both those we have bought ourselves and others that I have received for review on MBE such as Scrabble Turbo Slam, Clue: Harry Potter and the Deathly Hallows Edition, Sorry Revenge, and Pictureka. Hasbro also makes a variety of toys such as Play-Doh fun classic kid pastime that has been enjoyed for multiple generations. If you haven't already heard, Hasbro is hosting a wonderful promotion called The Great Games Trade-In where you can print out $83 in savings coupons (coupons expire 10/9/11) good toward new versions as well as classic Hasbro games. You can also do your part to go eco green, by printing out pre-paid shipping labels to send in your old games to Recyclebank at no cost to you. The recycling program ends 9/30/11, so hurry to participate now. 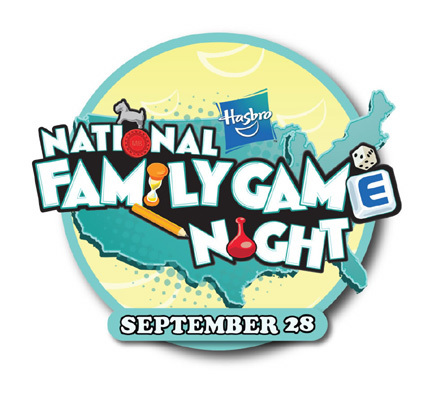 Watch the new season of the Family Game Night show on The Hub on Friday nights. When you tune in you'll to see families playing and acting out over-sized versions of your favorite Hasbro games at 7 p.m. ET. Check your local listings to confirm air time. 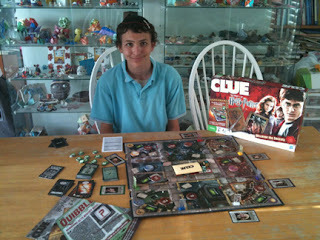 You can also find out more about how you can get in on the fun of Family Game Night on the web on Facebook and Twitter. FTC Disclosure: I sometimes review Hasbro games on this blog. However, for this particular post, I did not receive any payment or other compensation. See complete FTC Disclosure information that appears at the bottom of MommyBlogExpert's main page and at the bottom of every individual post on this blog, including this one.